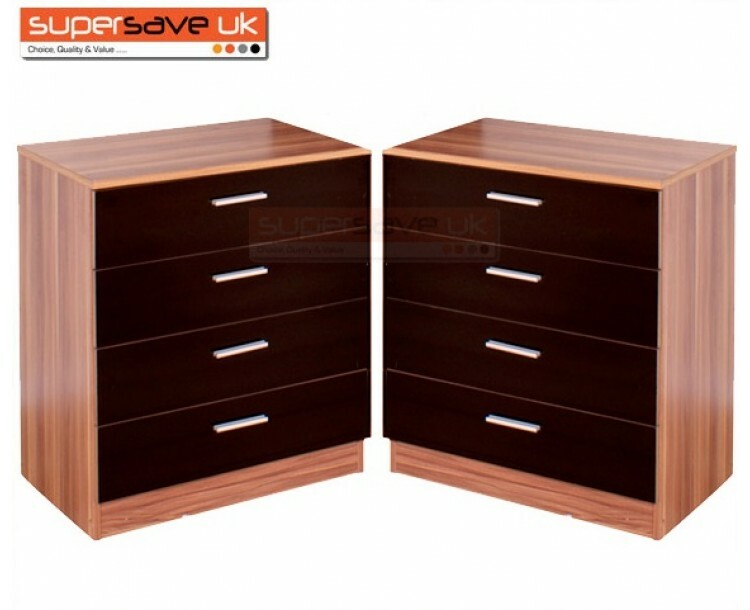 Modern Contemporary Chest of Drawers in Black Gloss Front & Walnut Frame. This Product is part of our Madrid bedroom Suite, latest in urban chic. 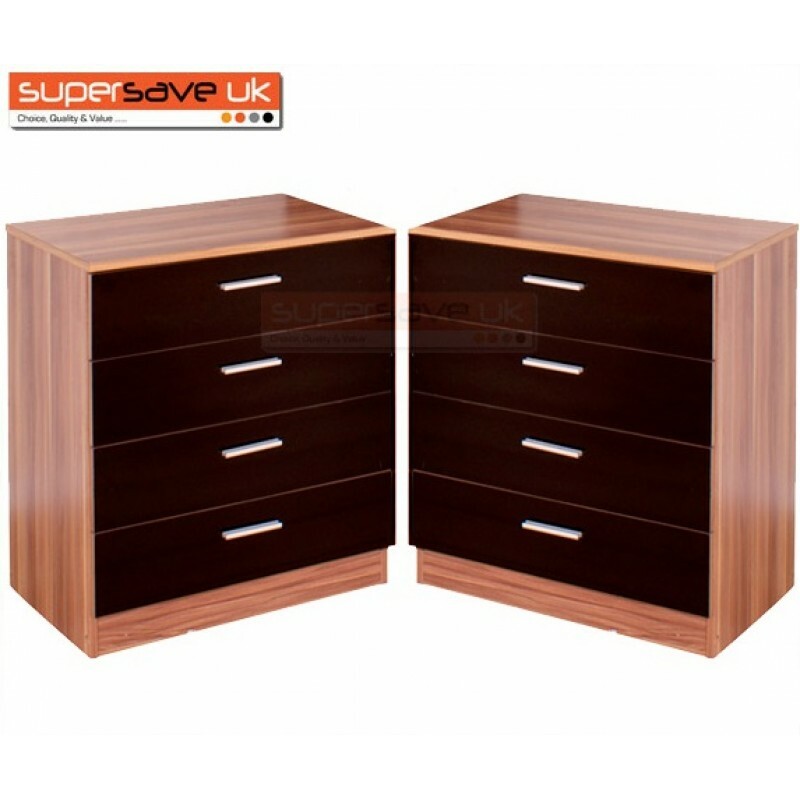 attention grabbing high-gloss finish brings a real touch of sophistication to your bedroom.